It's become easier, cheaper and more effective to create apps now than more ever before and you can build an app and launch it within 24 hours now. And the good news is there is still a lot of potential. When it comes to high rates of failure, the biggest thing is it really comes down to getting yourself out there and actually marketing the app effectively. The first pillar number one is a grand vision. The reason why we start the pillars with vision is that we've seen so many app creators who aimlessly launch their app without a destination or a goal in mind and it's really the quickest way to fail. Going number two is innovation. Innovation is the second essential pillar to building a successful app because without it in this day and age, you are a commodity. Pillar number three is all about growth marketing. It's really all about conveying how your app is both unique and irresistible at the same time. Number four is having the right team in place. If you're looking to create a let's say, a billion-dollar app it begins with having a billion dollar team. And then pillar number five is all about virality, retention and app addiction. Pillar number six is all about money mastery. As of 2018, Apple and Google have collectively paid out over 150 billion dollars to App creators specifically. The final pillar is measuring success because you can't improve what you don't track. It's become easier, and cheaper to create apps. You can build an app and launch it within 24 hours. 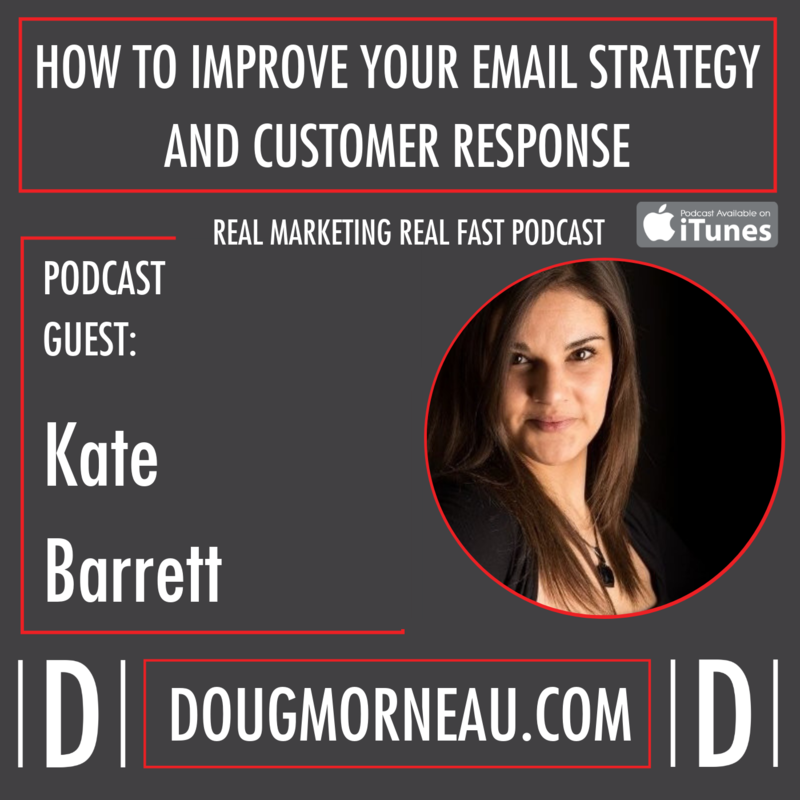 Doug Morneau: Well, welcome back listeners to another episode of Real Marketing Real Fast. Today's episode's going to be all about marketing. App marketing to be specific, and our guest is the leading expert on this in the United States of America, they are the number one app marketing company. Before you think hey, I'm not interested in launching or running or selling an app, I just want to share with you that during this particular episode there was a ton of valuable information that we can apply to your general business, general marketing principles as well. I want to introduce my guest today, Sean Casto. Doug Morneau: He is the founder of a premier app marketing company or agency called PreApps. Sean has helped thousands of apps reach millions of downloads. He's also the creator of the App Marketing Academy, the world's best online marketing program. Today, Sean is one of the most in-demand experts on mobile app marketing and reach has expanded to 80 countries across 24 different app categories, where he helps his clients create, launch and market their apps taking each app from zero to millions of downloads and sales. Doug Morneau: He's worked with multi-million dollar companies like Flyp, Overkill 2, Gadget flow, and even billion dollar apps like Cheetah's, Mobile Security Master with over 550 million downloads. Sean has been a guest speaker for Microsoft and Samsung, he's lectured at universities such as Northern and Harvard, he's been featured in The Washington Post, USA Today, The Boston Globe, Entrepreneur Magazine, and the Associated Press. He's here today to share his tips and techniques on how to help you reach millions of people with your mobile app and he's got a special book offer at the end of the episode. I'd like to welcome Shawn to the Real Marketing Real Fast Podcast today. Well, Sean, welcome to the Real Marketing Real Fast Podcast. I'm super excited to draw on your experience and the secrets that you are going to reveal about your new book that you've just released. Sean Casto: Thank you very much for having me. Excited to be here. Doug Morneau: When we think of apps, we've all got apps on our phone and we've only got room for so many apps. I was really shocked by the statistic that 90% of the apps that people launch fail. What do you think the reason is for that? Sean Casto: Well, there's a number of reasons. The truth is there's just so much competition out there. It's become easier, cheaper and more effective to create apps now than ever before and you can build an app and launch it within 24 hours now. So there are over 15,000 new apps introduced to the marketplace every single week now. 15,000. It's just insane. But the good news is there is still a lot of potential. The mobile app industry is still the fastest growing multi-millionaires on the market in terms of how fast you're able to create an idea to a product and get it to millions of people as quickly as possible. Sean Casto: Luckily, there are more people using apps now than ever before in terms of adoption and people are spending more money within apps more than ever before. The opportunity is bigger than ever before but there's also obviously a lot of competition. When it comes to high rates of failure, the biggest thing is it really comes down to getting yourself out there and actually marketing the app effectively. It's just unfortunate because back in the day when the App Store first opened, you could literally create a really poor quality game, launch it and get a million downloads just because you're able to get out there when there was just a little competition, your app would still be ranked in the top 10 or 20 of that specific category. Sean Casto: Now, unfortunately, you can spend a million dollars on development. We have clients that reach out to us sometimes. They spend a million dollars on development and they spent maybe two years building up the most amazing, innovative, creative app in the world and they launch it and get like zero downloads. And they just assumed that ‘if you build it, they will come' type of scenario. And unfortunately, this does not exist in the marketplace anymore. So they come to us that six months after launch, and they're like, “Hey, what happened?” And it's very clear that obviously, they didn't have the right marketing in place in order to be able to differentiate themselves in order to be able to really establish themselves in the marketplace in order to be able to ensure that the app is discoverable and reaching the masses and getting the perfect users coming to their app every single day via the right channels and so that's kind of what we do. Doug Morneau: Well, I was so excited when I was looking at your background and looking at your website at what you guys do, because I think that's a common thought that a lot of entrepreneurs have or business managing their marketing guys have is that, “Hey there, our product is so cool, it's just going to fly off the shelf.” As you said, there's competition out there and the competition's stiff and you need to roll up your sleeves, get out your checkbook and write a check and spend some money on marketing to make sure that it gets to the right audience so you can create the sales that you need. Doug Morneau: Tell us a bit about and share with our audience a bit about your seven pillars to creating a million dollar app. I'm sure for our listeners that have apps are our listeners that are considering building apps, that's a pretty appealing title. Sean Casto: Yeah. And due to our short period of time today, I can kind of break down these pillars as short as possible but I've had speeches that I've done really two hours long, kind of going over these pillars, but I can do my best to kind of summarize these to my best abilities but in terms of high-level standpoint. Over the past eight years, my company PreApps has worked over 3,000 apps over the past years now. We discovered that we've been able to really understand what works and what doesn't work in the industry. Having worked with billion dollar clients, having worked with high growth startups and working over 3,000 apps reach over half a billion in downloads, we've been able to really pinpoint that there are certain fundamental traits that the most successful apps the marketplace incorporate. Sean Casto: The same apps that apps like Candy Crush, Instagram, Airbnb, Uber, Snapchat incorporate. And so in my book, App Secrets: How to Create a Million Dollar App, we really kind of pinpoint these fundamental truths, these seven pillars that are required in order to be able to launch and market a multi-million dollar successful app business. These fundamental traits are actually pretty consistent with the overall business strategy as well. A lot of these things aren't going to be crazy new, but how they apply for the mobile app industry will be. But from a high-level standpoint most business books would have these pillars incorporated as well but when it comes to the mobile app industry, again, there are unique traits that really exacerbate within that specific model. And so, if you like I'll just give you a very high-level overview of these pillars. Doug Morneau: Sure, that totally makes sense. And I'm also assuming that because you're in this space, you know the media and the places this is no different than any other industry. We're working in a niche. As you said, the principles might be general business principles, I need to take that and then add the expertise and have the right media channels and the right contacts to make the calls and push the right button so goes to the right people. Sean Casto: Exactly. And so in the book, obviously, we drill deeper into each of these pillars with case studies examples of such and any other billion dollar apps are utilizing. And then also we have something called the App Marketing Academy which is an online course that people can take and then, of course, those that are looking to work with an agency, we have an agency model that really pinpoints more of the marketing strategies in itself to be able to scale and grow. Doug Morneau: Perfect. Where would someone get started? What does that look like at a high level? Sean Casto: Sure. From a high level, let's say, if you were kind of in the beginning, let's say your early stage and you're on the process of building an app or launching an app, you want to be able to ensure that these kinds of pillars are incorporated. The first pillar number one is a grand vision. You might be wondering what having a clear vision has to do with creating a successful app. And the reason why we start the pillars with vision is that we've seen so many app creators who aimlessly launch their app without a destination or a goal in mind and it's really the quickest way to fail. Sean Casto: We see so many people waste time and money building an app without the end in mind. And so every billion dollar app creator, at some point, really declared what they wanted and developed a roadmap to get there. We always really emphasize the fact that you need to really be able, to begin with, the end in mind. I believe once you visualize, you can materialize. And most people work from where they are now to where they want to be, it's kind of a natural realm of a roadmap. Sean Casto: You think, “Okay. This is where I am now, this is where I want to be.” Unfortunately, this is a backward strategy. You have to begin as though you already have the end in mind. As if it's already accomplished and done for you and then work backward, not forwards to be able to create the roadmap to get there. And that's something that I really emphasize the fact that really have that crystal clear vision of that goal and then to be able to make decisions based on if you've already achieved then where you're at in that circumstance. Every billion dollar app out there really understood what they're looking to achieve, and what they're looking to create, and then obviously had the roadmap to get there. Sean Casto: Exactly. And so if your goal was to reach, let's say a million downloads over the first year of launch, it's really understanding what's required in order to be able to get to that million downloads. If I already had it, where do those downloads come from? And to be able to work backwards, to be able to work with right agencies and companies and experts to be able to make that happen, as opposed to just saying, “Hey, I hope that this is going to be successful, not really sure how to get there, a few downloads would be great” type of scenario. And so that's why again, having a grand vision is really critical. Sean Casto: Going number two is innovation. Innovation is the second essential pillar to building a successful app because without it in this day and age, you are a commodity. To innovate in its purest form really comes down to solving a user's needs better than anywhere else on the market, it is adding that superior value to that end user. And the key is really being user-centric, knowing your users and wants and needs better than anyone else. With so much competition out there, it's very easy for your app to just get lost in the weeds of these millions of apps that are already available and so it really comes down to be able to really solve your users needs better than anyone else. Sean Casto: It doesn't need to be a huge innovation, it doesn't need to be a huge leapfrog forward but really, sometimes the simplest innovation can be the greatest benefit to your consumers. And it's also obviously having those innovation additions to the app coming out on a regular basis. What do you think Square, Snapchat, Evernote, Uber, and other billion dollar apps they launch with new innovations every single month. They do that because they need to, not because they really want to. They do that because they need to be able to stay relevant in today's markets. And so innovation must be continuous in that route. Doug Morneau: Yeah, I love logging into an app to see that it's been updated, there's some new functionality. Sometimes it's frustrating because I'm going, okay, I used to be able to push this button and move this here, but it's changed but it's nice to see that there's changing and they're evolving. Sean Casto: Yeah, exactly. Again, if they're not evolving again, they'll be irrelevant in the near future because, in today's environment, people are always looking for a new user interface, new excitement, new things that are progressing forward. And again, sometimes the smallest positive change can result in the greatest impact. A single small enhancement can have the greatest breakthrough impact and become the greatest innovation. You don't really need to reinvent the wheel or be first to market to succeed in today's environment. Doug Morneau: Well, that's good news. Sean Casto: Exactly, exactly. Yeah, so pillar number three is all about growth marketing. My opinion, growth marketing is really two things. First, it's really the process of driving users to your app to download and purchase what you have to offer, while still increasing the appreciation of your app in the process. And then number two, it's really the continual education of your users to the advantages, benefits, and results you're at brings them that no one else really provides. And so it's really all about conveying how your app is both unique and irresistible at the same time. Sean Casto: In this pillar, in particular, we're going to go through the unique models that we've kind of put together in terms of how to be able to market apps successfully. At PreApps, we've really coined the term “The skyrocket method” and this incorporates really strategic results oriented strategies in order to be able to launch an app successfully, and to be able to surpass the competition. And so in this chapter, in particular, we break down the 10 step system that is used to be able to launch and update any app successfully and to be able to really maximize downloads from the App Store and Google Play. Doug Morneau: Well, I think it's interesting because you mentioned drive users which totally makes sense. If you don't get people to use the app obviously, you're not going to have success. But what I found most interesting was you said continual education and I just had this discussion yesterday thinking and I never considered it with apps. If I'm not getting communication from the app it's likely to fall out of favor and might be on my second or third screen. And if I'm not using it, I'm not going to talk about it, I'm not going to refer it to my friends. Sean Casto: Exactly. That's absolutely right. Doug Morneau: So what's number four? Sean Casto: Number four is all about having the right team in place. The good news is you don't have to do it all on your own in this realm but if you're looking to create a let's say, a billion dollar app begins with having a billion dollar team. There would be no, Snapchat without Bobby Murphy, there would be no Uber without Garrett Camp, there would be no Apple, of course, without Steve Wozniak and so really conveys the importance of having the right team in place in order to be able to succeed. I think it's Simon Sinek, one of my favorites authors who says, you can't do it alone so don't pretend you can. Life changes for the better when you realize you don't have to know everything but when you work with a team, we can really accomplish anything. And I really do I believe in that statement. And so in this chapter, we just cover really the power of delegation and outsourcing to be able to really accelerate growth. Doug Morneau: Yeah, that's cool. Yeah, I've heard him speak. He's a great motivator and lots of wisdom. Sean Casto: He is, he is. And then pillar number five is all about virality, retention and app addiction. It's all about how to be able to continue getting users coming back to your app every single day and in the masses. Every app creator, ultimately, they want two things; they want their app to become a huge viral success. I couldn't tell you how people we talked to every single day says, “I want my app to go viral.” And the nexus they really want consumers and users to be able to retain and come back to the app every single day, because what good is a million downloads if only have one person actually using the app? Sean Casto: So it comes down through the understanding the mechanisms in place, and viral loops to be able to get users coming back to the app every single day. And so in this chapter, I share what we call our viral app blueprints on how the top apps in the market go viral using growth engines. I truly believe that virality is not an accident. I think by reality is strategically engineered into the app through growth engines and there's actually ways and mechanisms that these billion dollar companies out there understand in order to be able to really accelerate growth. And so in this chapter, we kind of break that down. 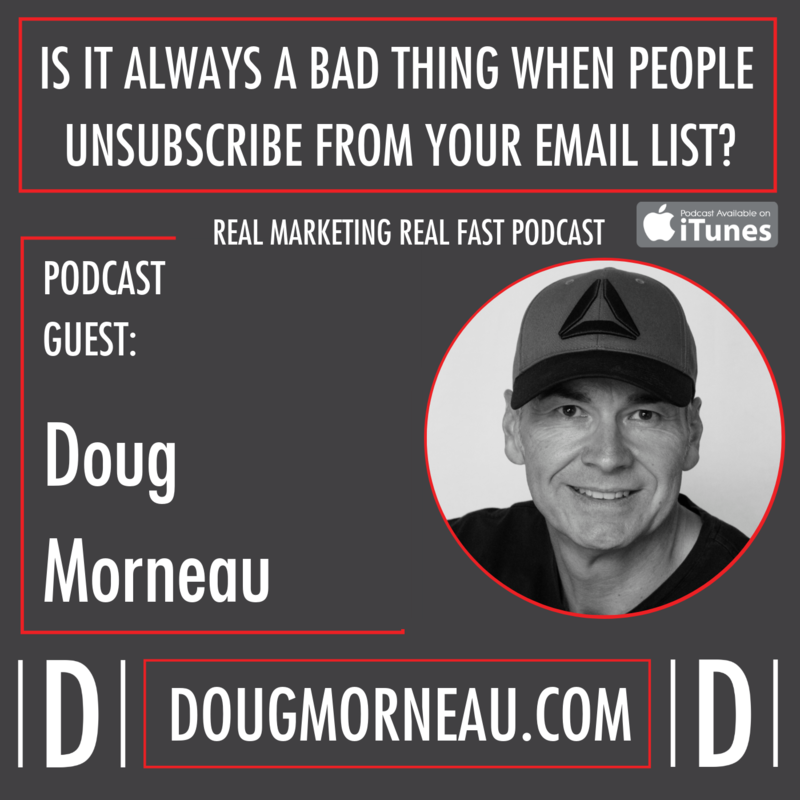 Doug Morneau: When you're working with a client, is this some of the feedback that they're going to get working with your agency because it sounds like you're offering more than marketing? Marketing to get people to download the app is one thing, but developing a strategy for it to be viral and to get that user engagement, that daily engagement and maybe the addiction to the app is a whole different field. Sean Casto: Yeah, absolutely. At PreApps, we are actually the number one app marketing agency here in the US. We are a full-service marketing agency working with clients going from A to B, based on their needs and what they're looking to achieve, with pre-launch and post-launch. And so what we understand kind of where their app is at and then kind of formulate the right strategy and plan in order to be able to reach those goals. Sean Casto: And most of our services and strategies that we put together will include also app growth consulting acting as a bonus. We have app growth experts that will be able to consult and work with our clients that have worked with billion dollar apps. Like leading revenue at Netflix or acquisition at Candy Crush and so our clients are able to tap into that expertise to be able to really reach their goals twice as fast and understand what strategies are needed in order for them to be able to reach those goals, and, of course, avoid the pitfalls along the way that's going to end up wasting their time, money, energy. And so as a bonus with our clients that we work with, we typically do incorporate, we call it app growth consultant. Doug Morneau: Well, that's pretty neat. So what's your next step? Sean Casto: Pillar number six is all about money mastery. As of 2018, Apple and Google have collectively paid out over 150 billion dollars to App creators specifically. And so in this chapter, we really walk you through exactly how you can get that piece of that billion dollar market that's paid out each year. And so it all comes down to really understanding what are the most effective ways to generate sales and revenue with your app. In this chapter, we go over once you already have a revenue model in place, we go over our 10x revenue accelerator in which you can understand how these billion dollar apps are really maximizing sales. So we break down these unique strategies that you can incorporate in order to be able to really maximize and accelerate your growth from a revenue standpoint. Doug Morneau: Well, you're throwing a term that you've said several times because you're quite comfortable in that space. I just want to make sure our listeners are listening. We're not talking about growing a six figure income or seven figure income, you're talking about eight figures or nine figures with the work that you've done, and the success that you guys have had. Sean Casto: Well, all the above. I would say probably about 50% of our clients come to us pre-launch. Like, they're not even launched yet, and they're still in development and are looking to launch let's say in the next two months and they need to work with an agency in order to be able to ensure that the app is going to be launched successfully and to reach their initial marketing goals and so we can provide them with the roadmap and plan or be able to reach their goals. Sean Casto: That being said, the other 50% are already established apps. Their apps that are doing very, very well and then we work with them to be able to improve the areas of virality, retention, and sales. Doug Morneau: You're talking about money mastery and companies like Google paying out or that you're talking about acquisition, whether they are acquiring are buying your app? Sean Casto: No, no, no. Apple obviously owns The App Store and Google owns The Google Play Store. What I'm referring to is really the money they're paying out who have apps on their platform. That will consist of let's say, Angry Birds. Apple paying out money to Angry Birds in terms of the sales that app makes. Doug Morneau: Okay. So acquisition is a totally different topic. Doug Morneau: What's number seven? Sean Casto: So the final pillar number seven is measuring success because you can't improve what you don't track. It's all about knowing what to track and when within your app business. A lot of people think, “Well, I don't have a billion dollar app yet so maybe I don't need to attract the right metrics.” But it's really on the contrary. If developers launch their app and only monitor things like downloads or sales, this is where many apps fail because without tracking key performance metrics, you won't really understand what's driving that growth, what's driving those downloads, or where you're engaged users are coming from, or what's driving that specific revenue. Sean Casto: Studies have shown that apps using app analytics outperform competitors who trust their intuition, three to one and so it all comes down to really understanding what are the key metrics that you need to track and focus on in order to be able to accelerate that growth from there. The truth is when it comes to app marketing initiatives, it really follows the kind of 80-20 rule. It's really understanding 20% of your marketing really accounts for 80% of your downloads. So understanding what metrics and marketing strategies are working for you, and then obviously double down on the strategies that are. And if you don't know what's working for, you can't obviously improve upon it. Doug Morneau: Absolutely. As you said, that's important for any of the marketing you're doing. I was just unaware, so I'm taking some notes here as we're speaking as well because I didn't know those sort of analytics were even available in terms of app and app marketing. I'm on the consumer end where I've got a whole bunch of apps, some are free, a bunch I pay for but had no idea what sort of data the app designer sees when I use the app. Sean Casto: Yeah, exactly. And so in this chapter, we really break down what are the exact key metrics that you should be tracking within your app. Things like acquisition, retention, referrals, et cetera, to be able to really understand how your app is doing and performing, and where you can improve upon that. And if you're able to just improve each little stage of that funnel, you can really drastically grow your app business and sort of comes down to the understanding how people are using the app, how many downloads, where they're coming from, and where your most engaged users are really … What channels that they're entering the app from, and then double down upon that. Doug Morneau: Just a question with regards to the types of apps. I'm thinking, and I'm a novice here so I won't be offended if you say I'm off base, what really is the big opportunities in the marketplace right now, or the work that you're doing in utility apps versus gaming? I think a utility, like you said, like Evernote and like Slack, and apps that I use on my phone that I pay for, versus a gaming app that I would think of as entertainment. Sean Casto: So your question is where's the biggest opportunity? Doug Morneau: Yeah. Where's the biggest opportunity or where do you find most of your clients come from? I'm not sure if those are the right category so let's start with that. What are the categories perhaps? Sean Casto: What I love about the industry is it is very diverse. We cover all 24 different categories across iOS and Android. From health and fitness to gaming, entertainment, and dating, social, food, you name it, we work with them. That's what's amazing is the fact that of the 15,000 new apps introduced every single week, it's very diversified. However, there is a kind of a majority. A majority would be probably in the gaming category. Sean Casto: If you look at the current stats, a good percentage is games coming out in the marketplace, because they're just a very effective channel for them to do very well, people use their phone for games and people also are able to really understand how to really monetize and make that successful like obviously Candy Crush, Angry Birds and the most successful billion dollar apps out there are the gaming category. So in terms of greatest opportunity though, what I love about the industry is there is an opportunity in every single category. There's not one category in particular that I would say you should really focus towards if you're looking to enter in the marketplace. Sean Casto: Sure, there are new trends, you have augmented reality which is a big kind of trend and hotspot right now, you have cryptocurrencies, you also have virtual reality. Those three categories are getting more popular over the next year. But in terms of new productivity apps, and entertainment, and et cetera, there's still a lot of opportunity of growth in those sectors. The billion dollar apps you see right now will get disrupted with new products and new, innovative apps that are marketing the right sector to the right demographic. Again, that's what's so exciting about this industry is anyone can really hit it big in this industry. It doesn't require having a multi-million dollar business prior to be able to create a successful entity. Sean Casto: You can actually start off grassroots and have limited resources and team and create something that's very, very successful. Doug Morneau: Well, that's super exciting. Sean Casto: Yes, it is. Doug Morneau: I don't know if you're a Tim Ferriss fan, but I did steal one of his questions from his last book, I want to ask you, and that's what some of the bad advice you hear in the industry in terms of people wanting to launch an app or market an app? Sean Casto: Yeah. A lot of the bad advice that we found and again, it circles back to this original discussion is, if you build it, they will come. So many people really want to convey how their app is unique and we have discussions and calls with people and say, “No, no, no, this is amazing. No, no, no, this is the most innovative thing out there. No, nothing exists like this. And it's going to do very well on its own.” And again, it's just hard to convince because a lot of people who are individual app creators or solo entrepreneurs, they become obsessed with their product. It's their baby and they just believe that everyone else is just going to automatically somehow find and discover their product, and it's just not the case. 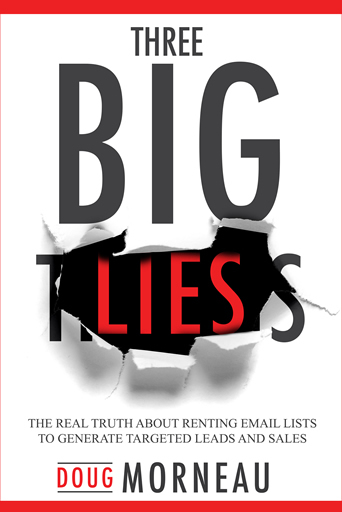 Sean Casto: And so the biggest thing I think again is really the importance of marketing. Marketing is the lifeblood of any successful app. That's kind of the first thing. The other thing is a lot of people believe that you need, again, $10 million, or even a million dollars to be able to have a successful app. You really don't, you just need to have the right strategies and marketing and people in place in order to be able to get there. Again, it's become easier and more cost effective now than ever before in order to be able to launch a successful app business. Doug Morneau: Wow. My mind's racing in about a million different directions, thinking of all the apps I've got. And even looking at the app acquisition do you see that to be a growing trend, as people, as entrepreneurs build apps that there's potential for them to just be talking about it? I'm thinking of Under Armour, for example, buying them out MyFitness. You've got big, huge brands out there buying fitness apps, as an example, to control that marketplace. Sean Casto: Of course, of course. Just like any other successful business decision, they're looking to acquire more users, and they see as people are engaging with their mobile apps more than any other device or platform in history. It's become a necessity. If you want to be able to engage with your customers, then you have to go mobile. Back in the day, people were like, “Oh, you know, mobile's optional.” And then the Silicon Valley was, “Go mobile first before you create a website.” Now, the model is to go mobile only, app only. You don't even need a desktop or a website, you just need a mobile app. Sean Casto: The reality is people are using their phone more than they're using their desktop when it comes to these app usages and so people and business, they're just tapping into that and that's why they're really looking to engage with these prospects and they own that market by connecting with these individuals better than they have before. Doug Morneau: Yeah. I don't know that the general marketplace at least the space that I see that people have got that, firmly in their mind yet that the users have moved from desktops to mobile in almost everything they do. A couple years ago, I started moving all my business to a mobile, the idea being that if I can travel and do everything I need to do to run my business on my mobile phone, it's a lot nicer than having to set up a desktop or lag around a laptop. Doug Morneau: You're saying the mobile strategy first is obviously the same approach to web development is build mobile first and then think of desktop? Doug Morneau: What are you most excited about in the next six to 12 months? Sean Casto: I'm most excited about? I'm also excited about really … Again, there are these apps that we're working with right now, in terms of being able to see them into fruition. We have a lot of clients that some of them worked with us, reach out to us a year before their app is launched. And so exciting to be able to see once their app was launched, to be able to get their engagements and to be able to see them in a news media outlets and the top of the search on the App Store, a lot of our clients get featured by Apple so it's really exciting to see our clients reach the type of success that they've been set out for. Doug Morneau: When I was looking to your website it looked like that you've done some work where you get some celebrity or some influencer engagement and pushing promotion on the apps that you release as well. Sean Casto: Yeah. We have a program that we call our App Celebrity Campaign. It's really designed to be able to make our clients app into an app celebrity by getting high profile press and media attention around their app. And the key is really to get multiple different outlets all writing probably about the app same time because when you get all these outlets all promoting the app at the same time that's how you become trending, that's how you build momentum and that's how you become our new celebrity app. Sean Casto: And then on top of that, we can also do some influencer marketing. Get a ton of influencers, all promoting the product at the same time as well. It's a very unique model that we've been able to really master over the past eight years now to be able to make our clients into an app celebrity. Doug Morneau: That's really cool. I'll be looking forward to seeing the Titan App for The Rock's new show. Doug Morneau: How to compete at home with your new Titan app. Two last questions and I'll let you get back to helping your clients be super successful, make tons of money. Who's one guest you think I absolutely have to have in my podcast? Sean Casto: One guest to have on your podcast. Focusing on the marketing sector, obviously, there are the big names out there. Joe Polish is one of my favorites when it comes to marketing. I think your listeners would love to have him on board. He's someone that I consistently try and listen to, and I've actually networked with him a few times, and he's a great individual. Doug Morneau: Yeah, he's a super sharp marketer. Now on to the most important question. How can people learn more about what you do and how they could apply your skills to their business? Sean Casto: Yes. If you have an app or in the process of building an app and would like to have kind of a free consulting call with one of our experts, please go to PreApps.com, P-R-E-A-P-P-S.com and you can get some more details there on scheduling a call with one of our experts. If you're interested in getting a copy of our bestselling book, App Secrets: How to Create a Million Dollar App for those listeners we'd be happy to go ahead and ship you a free copy. If you're available here, we'd be happy to ship you a free copy you just got to pay for the shipping. Sean Casto: We'll go ahead and send a link in the show notes for how you can go ahead and enter your shipping details for us to ship you a copy of that best selling book. If you're on traveling right now and you don't have time to click on that link, you can also text us. If you text 31996, again, that's 31996. Text us that number and text the word, “app secrets” A-P-P. Secrets, S-E-C-R-E-T-S, we'll go ahead and send you a link to get a copy of that book as well. Doug Morneau: Well, excellent. Is there a favorite social media platform that people would want to connect with you and follow your success as you travel through the app world? Sean Casto: Yeah, you can follow us on Facebook, just search for the company PreApps, P-R-E-A-P-P-S. We're on Twitter as well. Doug Morneau: Well, I want to say thanks so much for taking time out of your day. 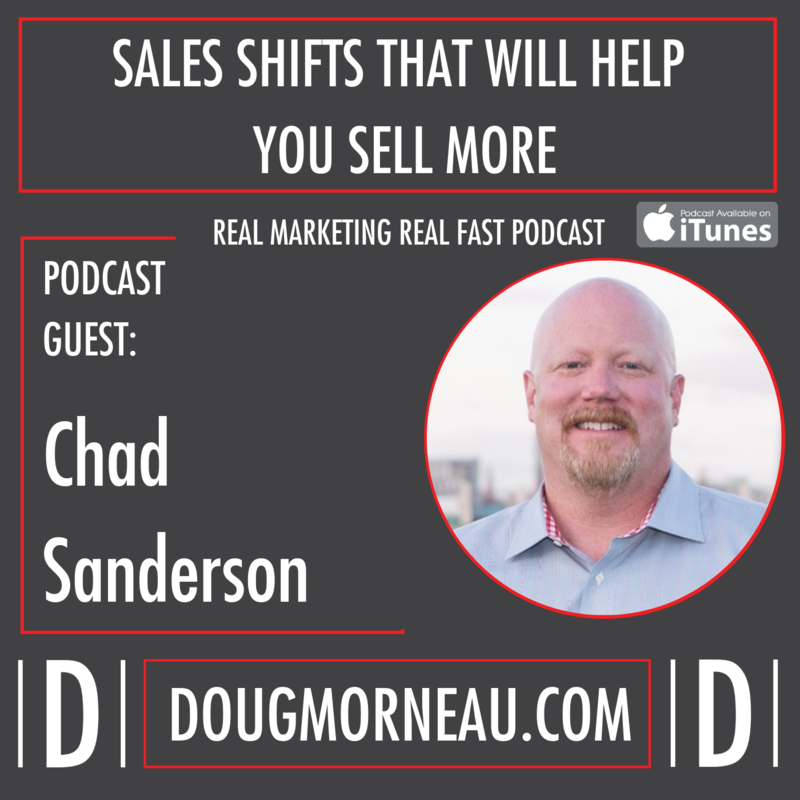 It's not often I get to interview a guest who has had so much success in the marketing space and I love what you're saying. You need to roll up your sleeves and spend some money and invest here. It doesn't matter, listeners, how good your app is, if people don't know about it, it's just going to sit there quietly. Doug Morneau: Thank you, Sean. We'll make sure that we get the show notes transcribed and listeners thanks for tuning in. I hope this is a stretch to your brain. I hope it's done what it's done for me and that's inspired me to go back to some of my clients who have talked about apps and say, “Hey, I now have the solution.” I was never afraid of building an app, my concern was that if we build it, will they come? Now we know how to do that so I'd encourage you to check out Sean's page. There's lots of information that I've clicked through his page and he's absolutely true to his word. There is an opportunity to click and get a free consulting call with somebody at their company. Thanks, Sean for tuning in and for helping us out today. Sean Casto: Thank you so much and have a great day. Doug Morneau: Thanks listeners for tuning in and I look forward to serving you on our next episode.